The thing that bothers me most about Sen. Ron Wyden’s (D-OR) plan to tax unrealized capital gains is that it might be the stupidest idea I have ever heard. Like many Democrat proposals, it gives the middle finger to wealth and job creation and leaves chaos in its wake. It kills the economy in the never-ending liberal quest for more and more money for bad ideas. The government surely doesn’t need that money that much, and it surely doesn’t need to get it the way Wyden proposes. 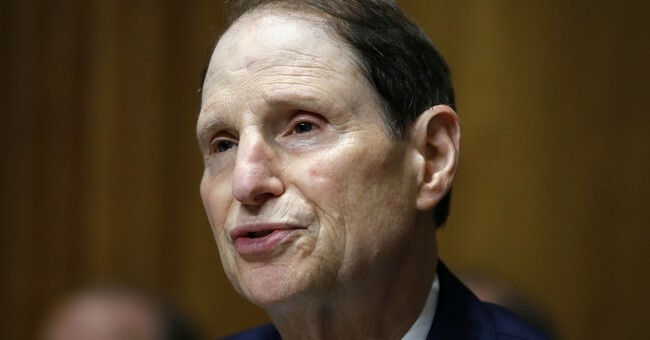 In case you missed it, Wyden, the ranking Democrat member of the Senate finance committee has proposed that the US government tax “millionaires and billionaires” every year for unrealized gains on stocks, bonds, mutual funds, real estate, and closely held businesses. Democrats believe that it can raise $125 billion in taxes annually. I beg to differ. In fact, it will cause American investors, including you and me, to lose a lot more than $125 billion annually. I’ll leave others to argue about the wisdom and fairness of taxing unrealized gains. I don’t think it’s fair; I don’t think it’s good for the economy. However, anyone else can make that argument as well as me. But I will tell you with a certainty that laws of supply and demand will surely cause market capitalizations in the US markets to shrink with the extra annual selling that these taxes would entail. It will also play havoc with market volatility. Over the last few days NASDAQ markets have averaged over $100 billion dollars per day in volume. NYSE market data is a little harder to calculate but it is safe to say it’s around another $200 billion daily. Assuming the Democrats are correct that they can raise $125 billion in capital gains, that means that somewhere, someone, someday is going to have to come up with $125 billion in cash—about one day of trading in the NASDAQ-- to pay those taxes each year. The NASDAQ and NYSE markets mostly. And where are those stock markets going to hide $125 billion worth of stock sales as tax day approaches? Are they going to do that in one day? One month? How are they going to do that without: 1) driving down share prices; 2) increasing market volatility? To put that number in perspective, it was $300 billion in money market redemptions over a period of a few days that helped trigger the financial crisis in 2008. It ultimately required the federal government to guarantee money market funds to stop a run on the funds. While that likely won’t happen again as a result of the Wyden proposal, it’s easy to see how the kind of annual selling pressure required by Wyden’s proposal will disrupt the market substantially and result in lower overall prices. Getting past the purely financial argument of losses that would be incurred by the markets because of the extra selling pressure driven by Democrat tax policy, there is a more import issue. Orderly and stable financial markets have been the driving force that is supposed to guide federal banking and finance policy. While I don’t think federal banking and finance policy has done a great job ensuring an orderly and stable banking system over the last three decades, I am certain that Wyden’s proposal is the single worst proposal over the last 40 years to ensure orderly and stable markets. We should expect better from the Democrats and Ron Wyden. But of course that hope will be in vain.